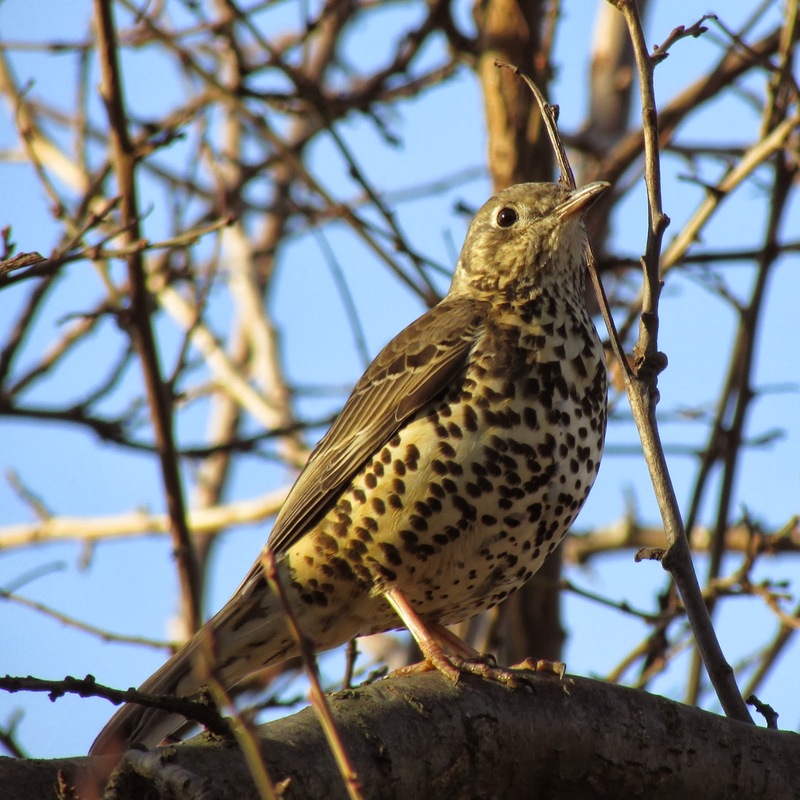 The local Mistle Thrushes have started to sing in the last few days. This one surprised us on our way home, on a tree in a front garden, quietly warbling, in a tentative way reminiscent of the blackbird's subsong. What a great shot. I wish I had them here to listen to.